Me at the HDRA Fireworks 250 at Barstow the same year this article was written about HDRA racing. Class 2 - 2 seat unlimited. 115° in the shade...if you could find any. Hit a boulder bigger than a wheel and tire in the course when I jumped out of a ravine near Stoddard Well and broke the frame in 5 places. 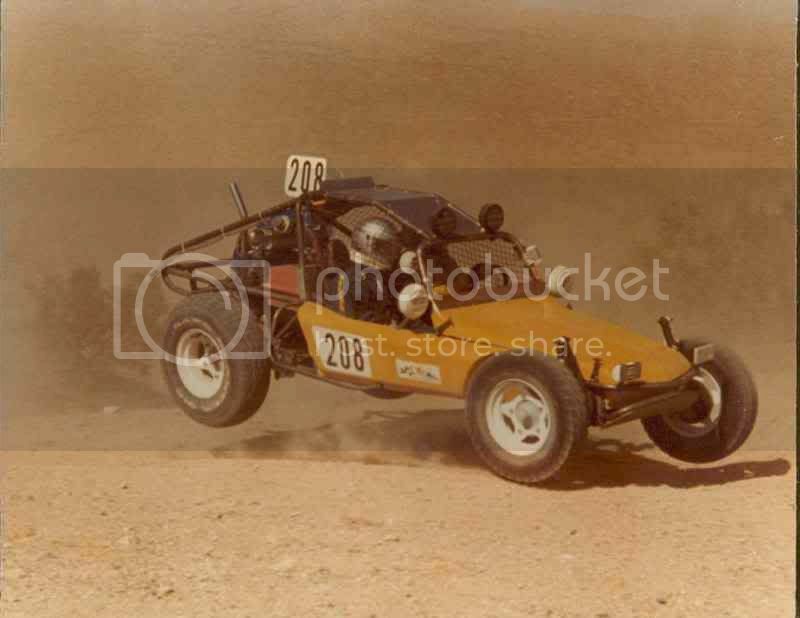 1st Overall that day was the new Chenowth single seat Class 1 of Bob Rodine, which soon found its way onto the front cover of Jeff Hibbard's new "Baja Bugs & Buggies" book. I beat that same car in a race at California City 3 years later when we were lumped together in the same class. Things were a lot simpler 'back in the day' before Big Money and high-tech changed it forever. 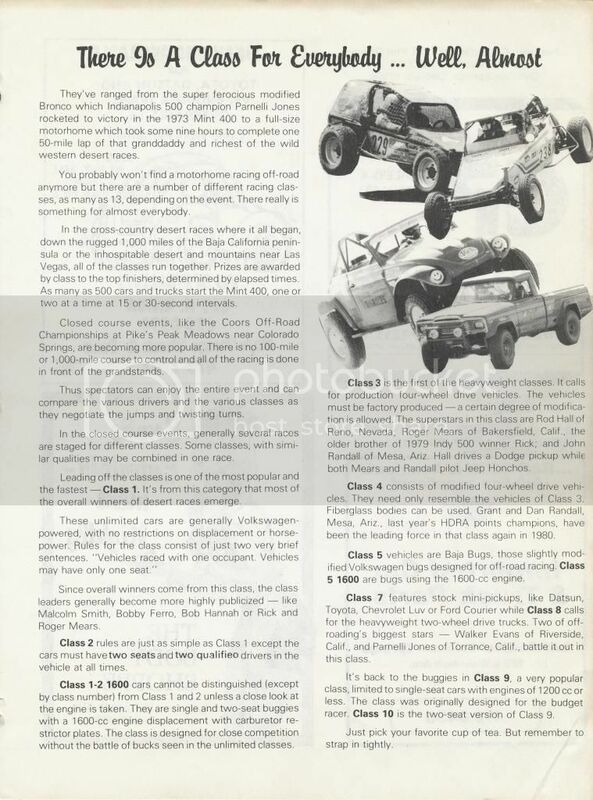 VW Volkswagen & Baja Bug General Discussion DRUMMOND RACING'S 1st CARBON FIBER SHIPMENT!!! We got our 1st shipment of baja parts today!! !